Have you considered using a baby box for your newborn baby? Cardboard baby boxes are being promoted in England and a recent Lidl offer included free baby boxes with a number of baby essentials for new parents. Have you considered using one? Or are you still wedded to the Moses basket in the first few months and then the transition to the cot? Baby boxes seem to be popular in Finland and they are provided to all new parents. And as of last year baby boxes are being offered in Scotland by the NHS. In England they have been trialled in some NHS Trusts. Experts say that baby boxes do not necessarily provide a safer option that Moses baskets in terms of baby sleep and one point being made is that they have reduced visibility for parents to see their babies easily when they are sleeping in them. Also if they get dirty or wet they might not be as strong to support the baby, so watch out for that. Whether they are safer or not is inconclusive but it is noted that they provide all parents with the essentials needed to give their newborn baby the best start in life. And that is definitely a positive in my eyes. The time babies spend on the Moses basket is very short, for us it was up to 4 months and then we moved our babies to the cot. So in a way perhaps the baby boxes do provide a better alternative for such a short use? The amount of equipment new parents do have to go through and choose can be mind blowing especially when it is the first time and we have got no idea where to start. This is not a sleeping baby box that I have used for this little cute baby boy but a crate that we photographers use as props in photo shoots. As well as the crate I also used a bed, where initially he fell asleep. I also sometimes use another basket with other props and different colours to give parents choice when they select the final images in terms of colour schemes and positions. Newborns are very delicate and having a photo shoot done, can be quite tiring so getting them to sleep is great. That allows them to rest while me, as the photographer get to do my job. 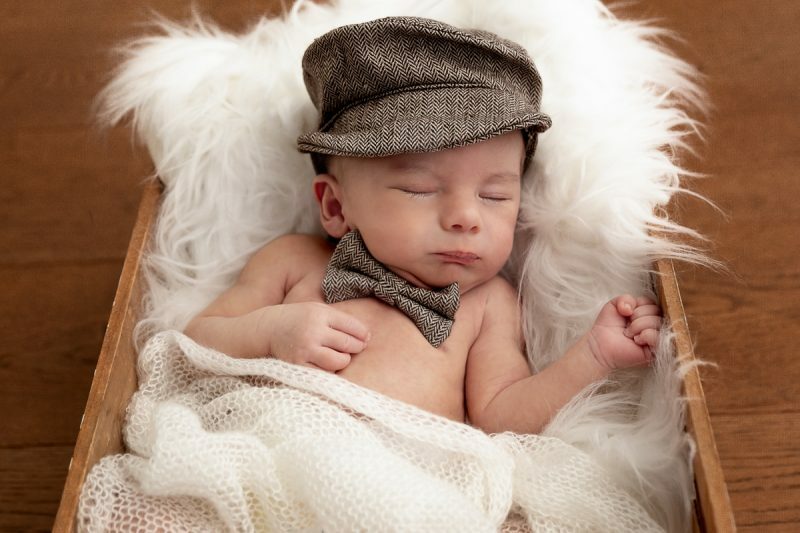 How long babies will sleep during a photo shoot will depend on the baby, sometimes that is during the whole session and other times only for 20 minutes. If you’d like to enquire about a newborn photo shoot with me, please feel free to drop me an email at photography@shimilimears.com or call/text 07934788100. I hope the information about baby boxes was useful and I would love to hear your views or preferences.